There's lots happening in the Allianz Hurling Leagues this weekend with 11 games taking place across all six divisions. 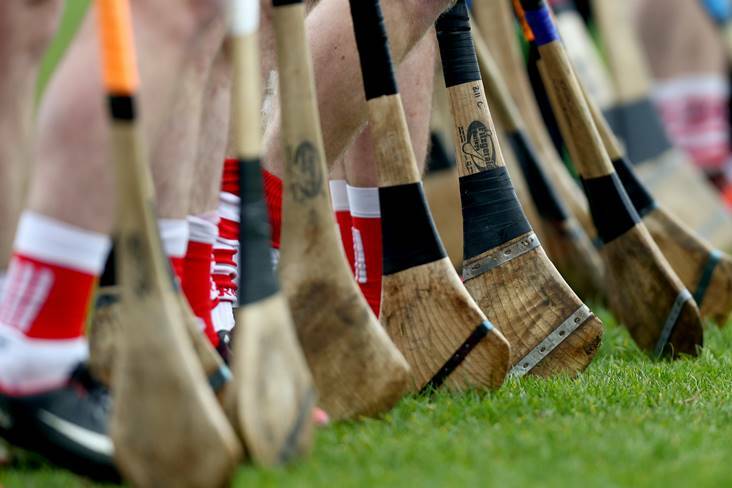 The quarter-finals of Division 1 of the Allianz Hurling League officially get underway this weekend while there’s silverware and promotion spots up for grabs in the lower divisions. Here are our previews for all 11 games down for decision. Limerick boss John Kiely makes nine changes to his side and has also taken the liberty of handing out starting league debuts to Barry Hennessy, William O'Meara and Barry Nash. The All-Ireland champions are 1/33 favourites for the trip to Portlaoise and start with just six of the side which defeated Galway at Croke Park last August. Laois were pipped by Dublin last weekend and manager Eddie Brennan has cited this one as “an opportunity” for his side to take stock against one of the best teams in the country. It’s hard to see anything but a win for the visitors come the last whistle at O’Moore Park on Saturday night. Second tier status will be on the line in the early throw-in at Pearse Park on Saturday afternoon and it’s Donegal that are the fancied side to send struggling Warwickshire down to Division 3A. The Exiles have lost all five of their league outings to date, their most recent one was a 16-point reversal to this weekend's opponents, and they don’t look like bucking the trend against the Tir Chonaill men in the midlands. Tipperary are in need of a win for a place in the last eight and head for Pairc Ui Rinn looking to lift themselves off the foot of the Division 1A table in the final round. The Premier men are 11/8 underdogs to get the job done against a Cork side which defeated league-leaders Limerick last time out off the back of another impressive shooting display from Patrick Horgan. The Rebels get their UCC contingent back for this one too and know that a point will see them through to the quarter-finals. Manager John Meyler highlighted his team’s “character” after the Round 4 win over the All-Ireland champions and we’re expecting their momentum to help carry them over the line. These two are dead even in the table with four points each and the same score difference after four rounds and Sunday’s meeting promises another fascinating showdown at Innovate Wexford Park. Wexford were left to rue what manager Davy Fitzgerald described as “sloppy” goals against Clare in Round 4, while Kilkenny managed to leak none against a lethal Tipperary attack. In the end, a last-gasp point from goalkeeper Eoin Murphy made the difference for the Cats as they edged their old rivals by 0-18 to 0-17 in Thurles and don’t be surprised if the margin is something similar here. Both these sides can still lose out on a place in the last eight on Sunday and it’s Brian Cody’s men – who are defending champions by the way – that get the nod to shade matters. Division 1B’s big guns finally cross swords on Sunday at Walsh Park with passage through to the quarter-finals safely secured. Indeed Waterford and Galway will merely be playing for a high placed finish above the other this weekend, with just a single point separating the sides in the table. The Tribesmen went experimental against Offaly the last day and won with nine to spare and it’s safe to assume the margin won’t be that wide for them in Round 5. The losers of this one will be playing their league hurling in Division 2 next season and it’s Offaly that are the slight favourites to send Carlow right back down. Last weekend’s dress rehearsal saw the Faithful men hitting the Barrowsiders for four goals in a seven-point defeat at Netwatch Cullen Park and it’ll be intriguing to see if the visitors to Tullamore can turn that around with survival on the line. The prize of promotion to Division 1 awaits the winners of this one and it should be quite a battle in Ennis on Sunday afternoon. It’s a second final in as many years for Westmeath, having lost out to Leinster rivals Carlow in 2018, and Joe Quaid’s men will be hoping that experience can help stand to them cometh the hour. Kerry boss Fintan O’Connor has said he expects this showdown at the top of Division 2A to be “a titanic struggle” with a “huge amount to play for” which could well see it turn into a thriller at Cusack Park. These two cross swords in Ruislip on Sunday afternoon looking for their first win of the campaign and it’s hosts London that get the verdict to pick up their first points after a good showing against Antrim in Belfast last weekend. Both teams meet for the second time in the space of a week and it’ll be Wicklow hoping they can repeat last weekend's 2-16 to 0-16 victory in Ballinascreen to take home the silverware. Derry were victorious in their first four outings in Division 2B before coming up short against the Garden men in Round 5 but still get the nod to return to winning ways at Grattan Park on Sunday. When the sides clashed in Round 3 it was Roscommon that emerged four-point winners and they meet again in Navan on Sunday with silverware on the line. Armagh are 7/4 outsiders with the bookmakers to upset the Rossies and while some will fancy that price, we’re predicting the Connacht men to secure a second win over their Orchard counterparts this weekend. Last weekend’s dead-rubber meeting between these two sides saw Sligo cruise to victory with marksman Keith Raymond hitting 2-4. This one is of course set to be a much closer affair but the Yeats men are still fancied to get the job done nonetheless. Join the hoganstand.com match tracker on Sunday for live coverage of the Allianz Hurling Leagues.